VANCOUVER, BC – R&B Brewing has joined forces with the Vancouver Pride Society to launch a new beer aimed at BC’s LGBT community. 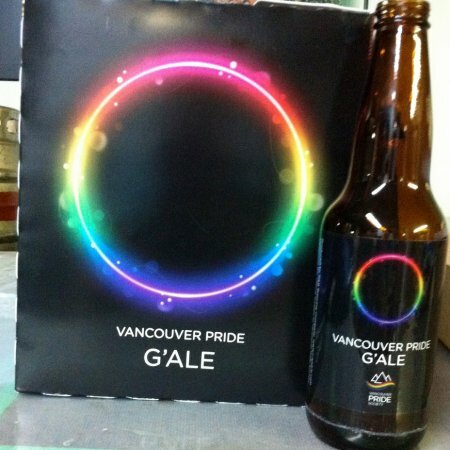 Vancouver Pride G’Ale is a golden ale that was debuted at Picnic in the Park, a Pride event that took place on July 21st in Vancouver’s Stanley Park, and was also served at numerous events during and around the Vancouver Pride Festival & Parade on August 5th. G’Ale is now out in six-packs and on draught in Vancouver and surrounding areas, and will remain available on a year-round basis.